Recognizing a need to complement healing with broad-based preventative healthcare, leaders from Columbus Community Hospital and the Columbus Family YMCA joined in a mission of holistic personal wellness. 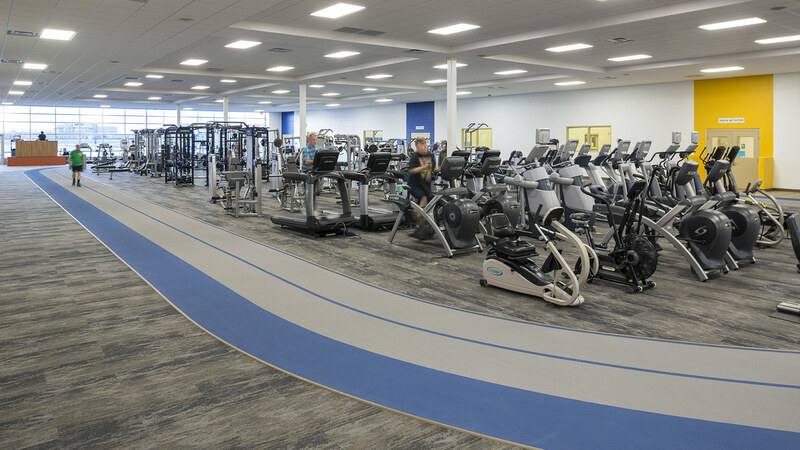 The new center integrates those features with outpatient rehabilitation services, fitness programming, and childcare services. The inclusive design helps individuals transition from a medical setback through rehabilitation and into a sustained, healthier lifestyle. 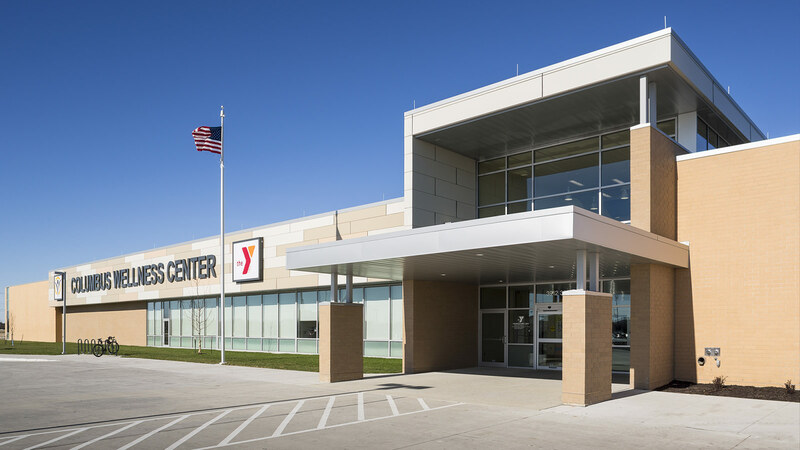 The center is open to the community, giving residents of all ages and abilities access to a facility that supports an improved quality of life. 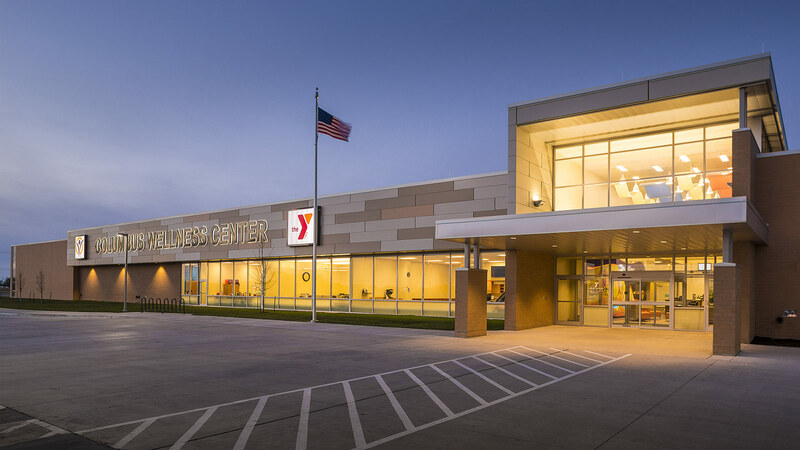 With so many stakeholders, end-user groups, and moving pieces, CCH and the local YMCA needed a cohesive team to provide design, engineering, and construction management services. Working with trusted construction partners at Journey Group, TSP delivered a complete Design/Build package that assures quality, responsive solutions. Adult rehabilitation services at the center include speech, occupational, and physical therapies. 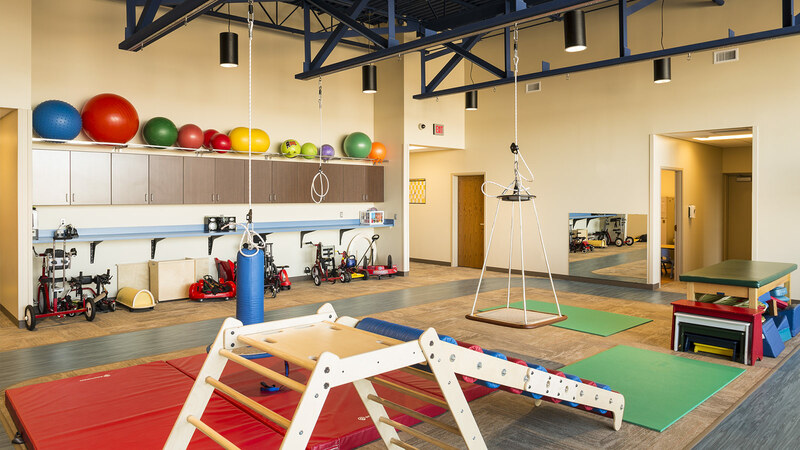 Specialized pediatric therapists are based in the Wiggles and Giggles suite, which is uniquely designed for children with special needs. There, medically based therapy maximizes each child’s potential through play to treat a wide variety of diagnoses, syndromes, and developmental disorders. 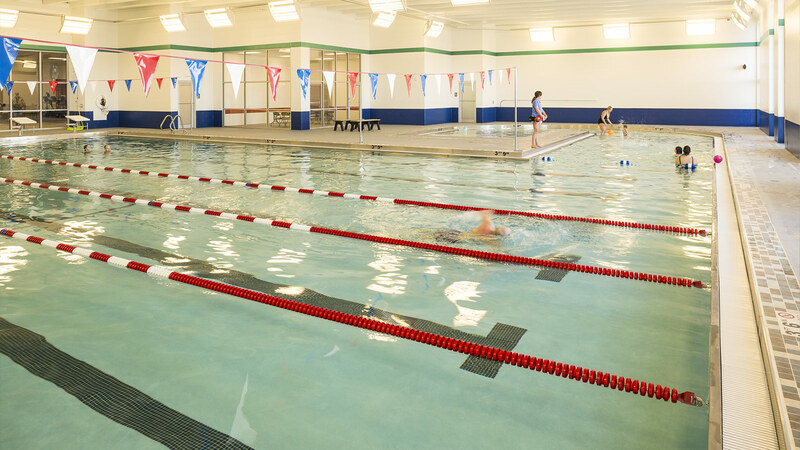 The facility features four aquatic offerings: a clinical therapy pool with wide, shallow steps for low-impact entry/exit; a recreational therapy pool; a spa with build-in bench level and numerous jets; and a six-lane lap swimming pool with a curving zero-depth entry ramp that is broad enough for beginner swimming lessons. 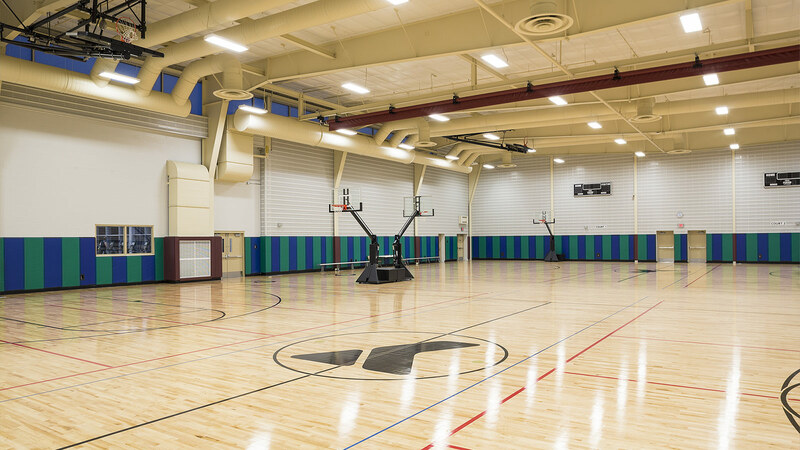 Also included are a double gymnasium, a youth play room, an exercise equipment room with weights, and a walking/jogging track. Three exercise rooms are environmentally designed for customized uses. Separate locker rooms are reserved for men, women, boys, and girls, with six family changing rooms for visitors’ convenience. 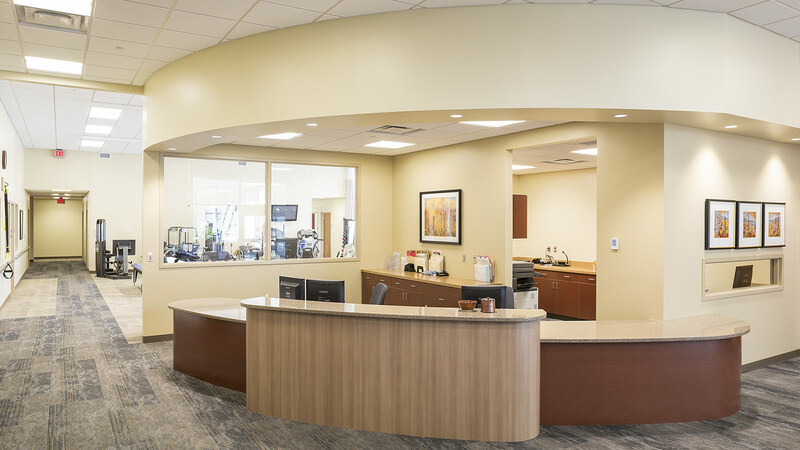 A multipurpose room is divided for specialty uses—and includes a teaching kitchen where visitors can learn the basics of healthy eating and meal preparation. The completed project gives the hospital an interrelated collection of services within innovative spaces to guide and support wellness for current and future generations.